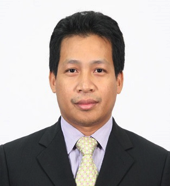 iii) Dr. Nordin Ramli, Staff Researcher, MIMOS Berhad, Malaysia. In recent years, there has been tremendous churn in the prevailing telecommunication technologies, products and services. To an average observer, these changes are unrelated and very random. However, to a seasoned communications veteran with deep understanding of the evolution of these technologies, these changes follow some patterns that if identified, can be leveraged into building a successful career in communications. At this event, we have an interactive session with a panel of leading telecommunication experts to help unravel trends in the communications industry and provide insights on how young professionals can stay relevant by leveraging these trends. We kick off this event with a reception providing ample opportunity to connect and network with regional and global young professionals and leading experts in communications. You don’t want to miss it! Imran Shafique Ansari (S’ 07-M' 15) was born in India in 1987. He completed his B.Sc. in Computer Engineering from King Fahd University of Petroleum and Minerals (KFUPM) in 2009 (with First Honors) and M.Sc. and PhD from King Abdullah University of Science and Technology (KAUST) in 2010 and 2015, respectively. Currently, he is a Postdoctoral Research Associate (PRA) with Texas A&M University at Qatar (TAMUQ). From May 2009 through Aug. 2009, he was a visiting scholar with Michigan State University (MSU), East lansing, MI, USA, and from Jun. 2010 through Aug. 2010, he was a research intern with Carleton University, Ottawa, ON, Canada. He has been affiliated with IEEE and IET since 2007 and has served in various capacities. He is serving on the IEEE ComSoc Young Professionals (YP) Board since April 2016. He has served on IET CC-EMEA (Communities Committee-Europe, Middle-East and Africa) for a complete term from Oct. 2010-Sep. 2013 and has been re-elected to serve for another term from Oct. 2015-Sep. 2018. He is an active reviewer for various IEEE Transactions and various other journals. He has served as a TPC for various IEEE conferences. He is a recipient of TAMUQ Research Excellence Award 2016, a recipient of recognized reviewer certificate by Elsevier Optics Communications in 2015, a recipient of recognized reviewer certificate by OSA Publishing in 2014, a recipient of appreciation for an exemplary reviewer for IEEE Wireless Communications Letters (WCL) in 2014, a recipient of post-doctoral research award (PDRA) (first cycle) with Qatar national research foundation (QNRF) in 2014, a recipient of KAUST academic excellence award (AEA) in 2014, and a recipient of IEEE Richard E. Merwin student scholarship award in Jul. 2013. Imran has authored/co-authored around 35 journal and conference publications. He has co-organized the GRASNET'2016 workshop in conjunction with IEEE WCNC'2016. His current research interests include free-space optics (FSO), channel modeling/signal propagation issues, relay/multihop communications, physical layer secrecy issues, and diversity reception techniques among others. Dr. Gopi Kurup is the CEO of Telekom Research & Development and GM of Product Management for TM Business Solutions. He has 20+ years of industry and research experience in the Telecommunication & IT industries, with strong technical fundamentals in innovation leadership & technology commercialization. He received his BEng. (Hons) in Electrical and Electronics Engineering and MSc. in Microwaves and Optoelectronics from University College London. He received his PhD. in Engineering from Monash University, Melbourne. 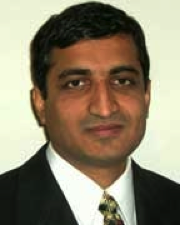 Dr. Kurup served as the Chief Technology Officer at Extol MSC, where he led the technical teams in successfully developing ICT security & mobility solutions including AI-Face Recognition, Signature Verification, Multi-factor Authentication, Secure 2D Bar Code applications and on-line Trademark Abuse & Monitoring. Heading the Secure Enterprise Application business unit, he managed the P&L for the Google Enterprise Partnership, Identity Management, Campus Management, eProcurement & EC-Tag RFID product portfolios. 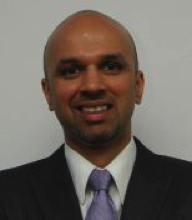 Prior to Extol, Dr. Kurup was the Head of the MIMOS Next Generation Internet Lab, leading 4 teams in designing Real-time Mobility, Enterprise Gateway, Personal Area Networks & IP Security technology platforms. His team successfully developed and deployed the first Malaysian mobile P2P IPv6TV and VoIPv6 service. He participated in delivering the 9th Malaysia Plan ICT R&D projects, formulating the Malaysian Communications R&D Roadmap and cluster formation with industry and academic partnerships. At NTT MSC, he was the Head of the Next Generation Network Group to research, develop and deploy IPv6. His team designed the Network Operation Centre and maintained high-speed network connectivity for Malaysian universities and Asia Pacific Advance Network (APAN) members. He was a Steering Committee member of the Malaysian high speed R&D network initiative. He started his career as an RF Engineer at Qualcomm Systems for supporting CDMA satellite data and fixed cellular networks. Dr. Kurup has filed several patents, published academic papers, presented at various international events and active in the Internet Engineering Task Force (IETF), the worldwide organization for Internet standardization. He was appointed to the International Islamic University Computer Science Department Board of Studies and co-supervised PhD an MSc students previously. Dr. Dilip Krishnaswamy is a senior research scientist at IBM Research in Bangalore, India. His current research interests include distributed function virtualization, dynamic intra and inter data center resource management, smarter planet systems, cognitive systems, nanoscale systems, and distributed information processing. He graduated with a Ph.D. degree in Electrical Engineering in 1997 from the University of Illinois at Urbana-Champaign. He received the best paper award for research related to his thesis in the parallel processing area for the 1997 IEEE VLSI Test Symposium. He was a Platform Architect at Intel where he worked on various projects including the Pentium4 processor development, system-on-chip mobile platform architectures (lead architect for Intel's first cellular SoC - PXA800F (HotChips 2003)), and cross-layer wireless multimedia optimizations in the digital home. He taught courses related to parallel computer architecture, and advanced digital systems design, at the University of California, Davis from 1998-2006. He served on the Industrial Board of Advisors for the ECE dept at UC Davis from 2006-2014. Since late 2006, he was a senior staff researcher in the Office of the Chief Scientist at the Qualcomm Research Center in San Diego, California. At Qualcomm, he worked on self-aware platforms, m2m service layer middleware, collaborative wireless nanobots for cancer therapy, Continua healthcare/oneM2M/DTN standards development, wireless distributed computing, parallel wireless communications & concurrent bandwidth aggregation, heterogeneous cooperative techniques, user modeling for distributed analytics, data-mining, and adhoc heterogeneous tunneled access technologies. He served as the Associate Editor-in-chief of the IEEE Wireless Communications Magazine from 2009 to 2014. He chaired the IEEE COMSOC emerging technical subcommittee on Applications of Nanotechnologies in Communications from 2009-2013. He is an editor for the Journal of Nano Communication Networks. He received best paper awards recently for COMSNETS 2015 and CoCoNet 2015. He is an inventor on 42 granted US patents, and has authored 60+ research publications. He is a B. Tech (EC) alum from IIT Madras. Staff Researcher, MIMOS Berhad, Malaysia. NORDIN RAMLI received B.Eng degree in electrical engineering from Keio University, Japan in 1999. He received the M.Eng and Ph.D degrees, both in electronic engineering from The University of Electro-Communications, Japan in 2005 and 2008, respectively. Previously, he was at Telekom Malaysia Berhad as a network engineer from 1999-2008, and lecturer at Multimedia University, Malaysia from 2008-2009. Currently, he is a Staff Researcher at Wireless Network & Protocol Research (WNPR), MIMOS Berhad, Malaysia. His current research and development (R&D) interests include cognitive radio, TV white space, space-time processing, equalization, adaptive array system and wireless mesh networking, internet of things (IoTs) and big data. At the meantime, he is a Solution Architect for the IoTs and big data’s related project. Based on his work, he has published over 80 journals and conference papers, and filed more than 30 patents related to wireless communications which are pending at World Intellectual Property Organization (WIPO) and Intellectual Property Corporation of Malaysia (MyIPO). In the industry, he serves as a Chairman of White Space Working Group, a technical working group under Malaysia Technical Standard Forum Berhad (MTSFB) from 2013, to study and promote the technology of white space communication in Malaysia. He has been appointed as a Visiting Senior Lecturer at the School of Electrical Systems Engineering of Universiti Malaysia Perlis (UniMAP) in 2012- 2014, and served as the industry advisory panel (IAP) for few universities in Malaysia. He is a senior member of IEEE. Previously, he was a chairman of IEEE Malaysia Communication Society and Vehicular Technology Society Joint Chapter (ComSoc/VTS) from 2013-2014, and secretary (2010-2012). During his tenure, the chapter won the 2014 IEEE ComSoc World Best Chapter. He has been very active involved in the organizing a number of conferences including; a Technical Program Chair for TENSYMP2014 (Kuala Lumpur), MICC2013 (Kuala Lumpur), ISTT2014 (Langkawi), MICC2015 (Kuching), and ISTT2016 (Kuala Lumpur). In IEEE ICC2016, he serves as the Executive Co-Chair for Industry Forum and Exhibition. Currently, Dr Nordin Ramli also serves as an Associate Editor for the Journal IEICE Communication Express (CoMEX) from June 2014 until now. He also has been appointed as the member in the Young Scientist Network of Malaysia Academy of Science, from 2014. He is also a registered professional engineer with Board of Engineer, Malaysia.